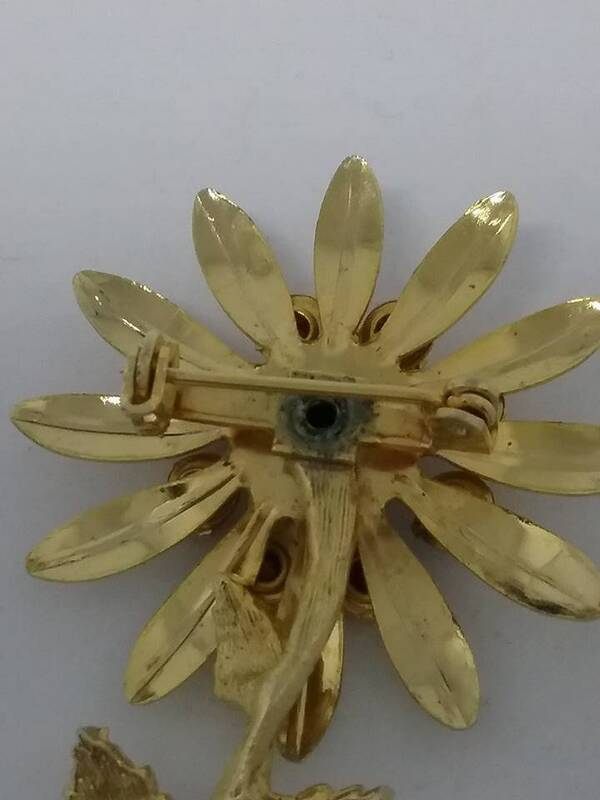 Vintage golden daisy with rhinestones brooch. 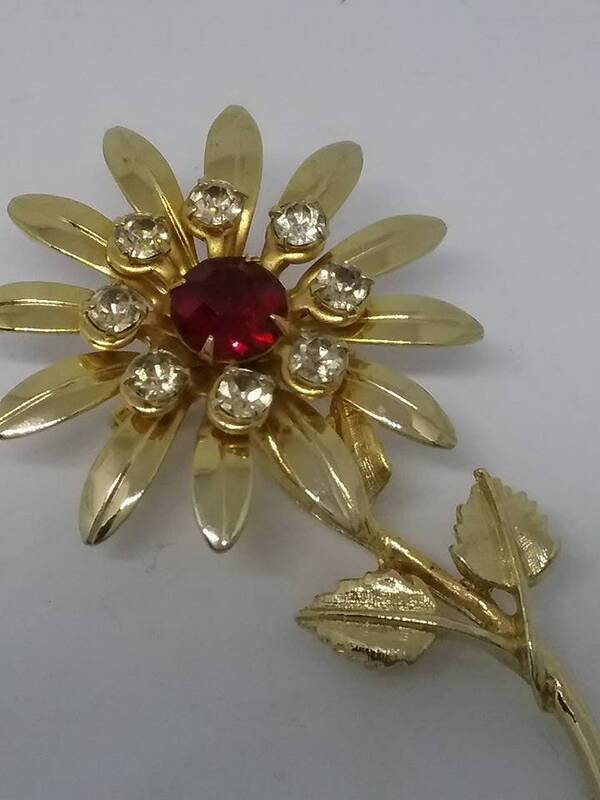 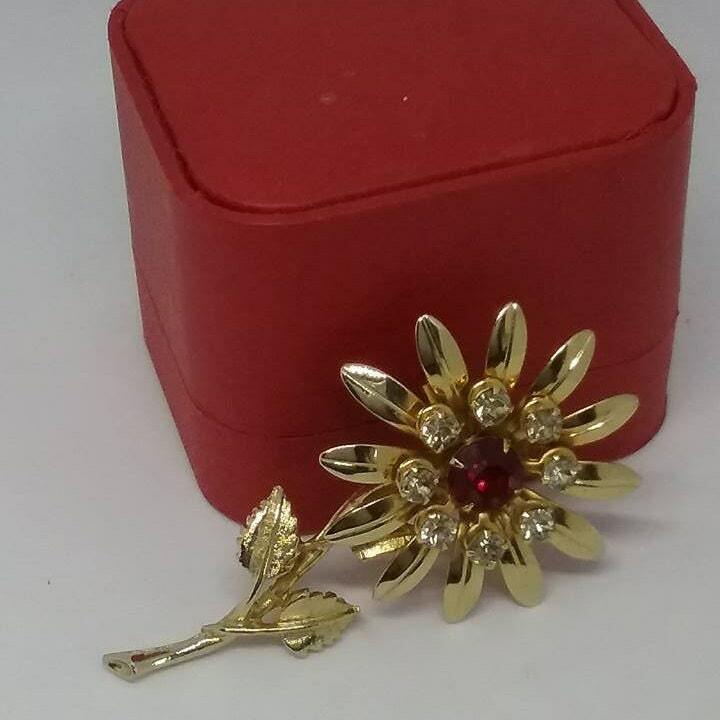 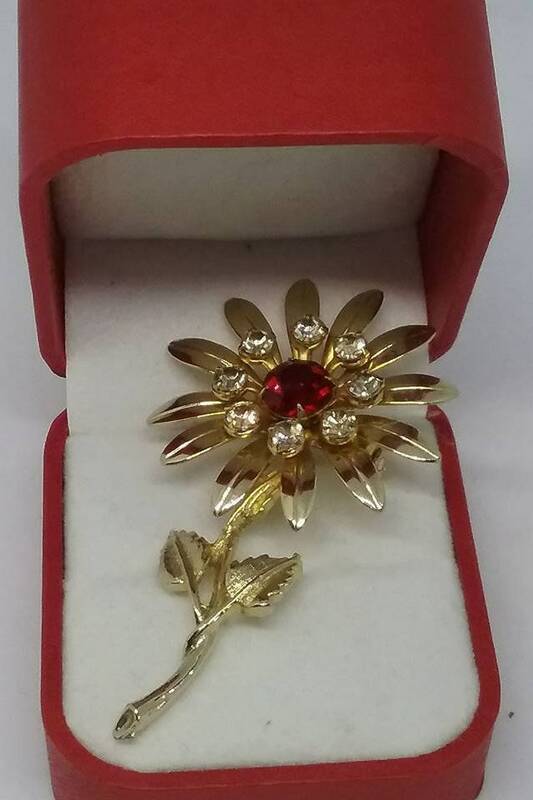 Vintage golden daisy with pronged ruby rhinestone in center, circled by 8 pronged clear rhinestones. 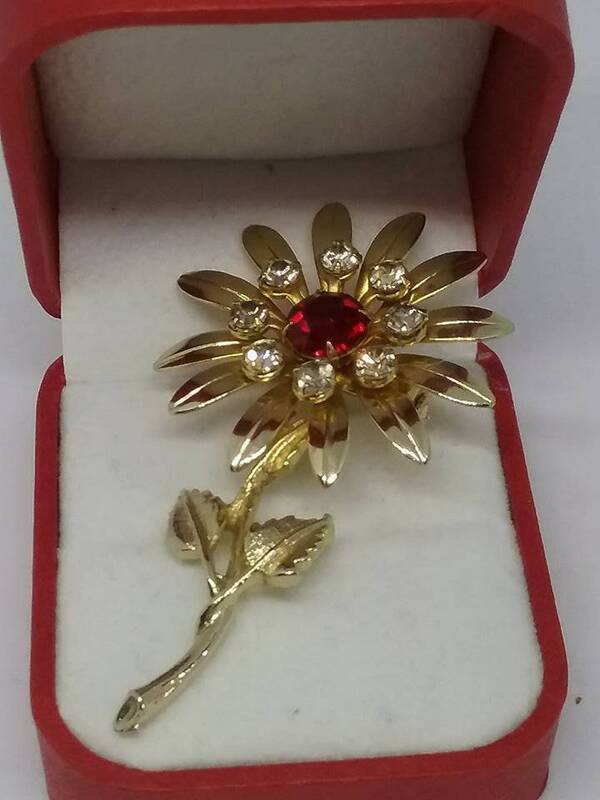 Excellent vintage condition, it still sparkles and shines. 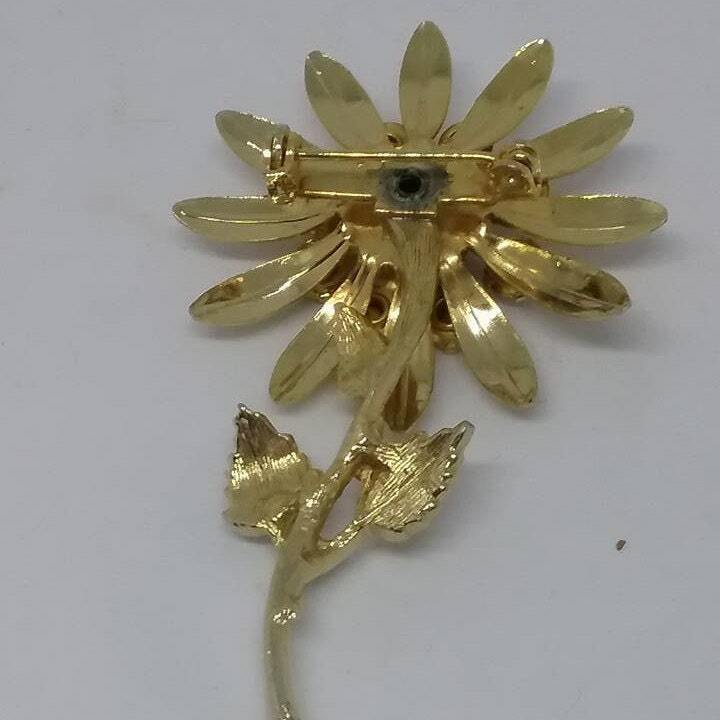 2.5" x 1.5".......a beautiful piece to wear with pride.